Advances in Smart Manufacturing technologies are changing the manufacturing sector forever. Those technologies don’t change your core priorities and goals, however. New technologies or not, you still want to deliver high-quality products that your customers need and want, plus you must maximise your competitiveness, productivity, and profitability. Marrying up a transition to Smart Manufacturing with your goals and priorities is not always easy. In a future blog post, we’ll look at a practical and cost-effective approach to moving towards Smart Manufacturing. A good starting point, though, is to consider the business case for doing so. Of course, you will probably need to develop a specific business case for your facility. Buying into the high-level pitch, however, is an important first step. Smart Manufacturing is part of Industry 4.0, the fourth industrial revolution. It centres on digitalising manufacturing businesses and improving the ability of people and connected devices to work together. The reality is the technologies that make smart manufacturing possible will have an impact on your business. This applies however quickly you proceed and how far down the Smart Manufacturing route you go. In other words, even if you do nothing regarding the implementation of Smart Manufacturing technologies in your facility over the next 12-24 months, by not moving forward, you’ll fall behind and miss opportunities and could impact your business. Among other things, this includes impacts on products in the market and consumer/user behaviour. Smart manufacturing technologies make it possible for manufacturers to move towards the mass customisation of products. This will change the offering available to consumers/users which, in turn, will alter their expectations. Considering time to market, will a competitor with more advanced smart manufacturing capabilities will be able to introduce a new product to the market faster to the extent it impacts on your competitiveness? The summary of the above is the sooner you get started with implementing Smart Manufacturing solutions, the better. Customer demand and expectations – these constantly evolve, with one major current trend being mass customisation. Market factors that increase or decrease demand unexpectedly and/or in short periods of time are also a factor. Agility and flexibility – i.e. ensuring your business is in a position to take advantage of the new opportunities that Industry 4.0 and Smart Manufacturing presents. Productivity and improving OEE – the constant push to improve performance and efficiency, particularly in the face of increasing demands. Availability of skills and resources – many businesses in a range of industries struggle to recruit and retain the operatives and technicians they need so are looking to technology as the solution. Compliance – additional compliance requirements on manufacturers, particularly in highly regulated sectors like pharmaceuticals and medical device manufacturing, resulting in a push for innovative solutions. Some of this comes from regulators, but manufacturers striving to keep the costs of compliance under control is also a factor. Business opportunities – Smart Manufacturing technologies have the potential to transform businesses, creating opportunities in new markets, product development, business model innovation and more. Sustainability – sustainability is increasingly important in all businesses. Smart Manufacturing technologies can increase energy efficiency and reduce waste across the entire product lifecycle. 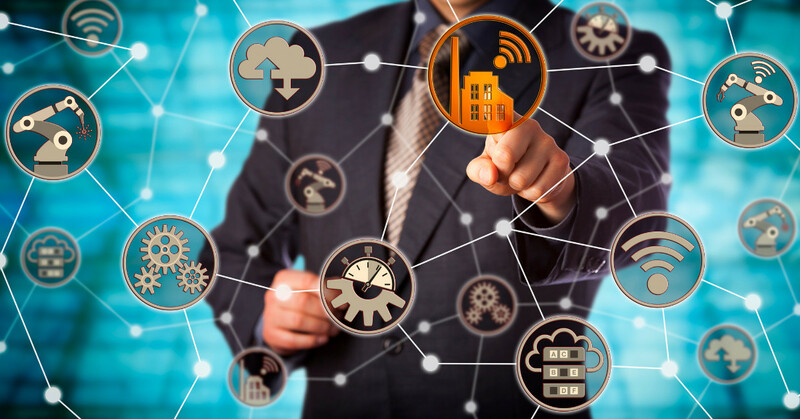 In the next blog post, we’ll look at practical and cost-effective ways to transition your current facility using Smart Manufacturing processes, methods, and technologies.